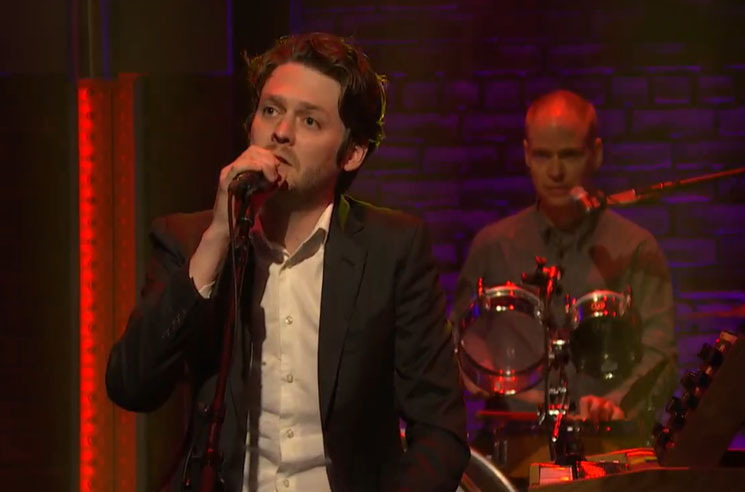 Whimsical baroque folk unit Beirut are set to return with a new album title No No No next month, and in anticipation of its arrival, the band performed as the musical guest on Late Night with Seth Meyers last night (August 10). Led by a suited-up and sat-down Zach Condon, the band ran through the record's previously unveiled title track. In seemingly high spirits , the group showed off their proficiency on a wide range of instruments, including a trumpet, trombone and more than one man on keys. Watch their television performance in the player below. No No No is out on September 11 via 4AD.